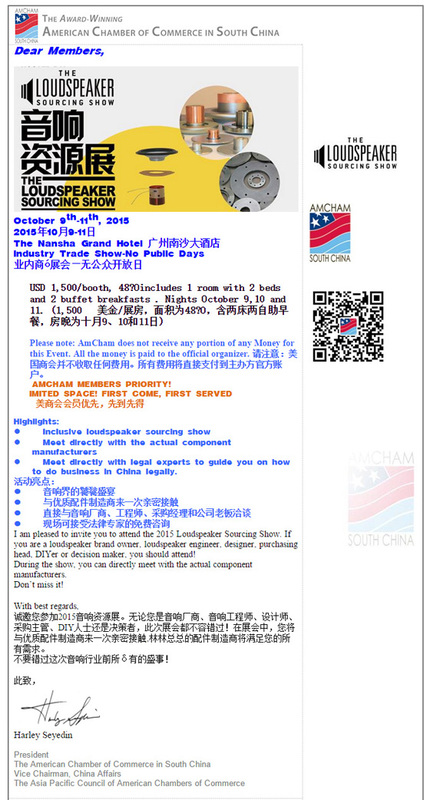 We previously mentioned the American Chamber of Commerce South China will be attending The Loudspeaker Sourcing Show on October 9 – 11, 2015. 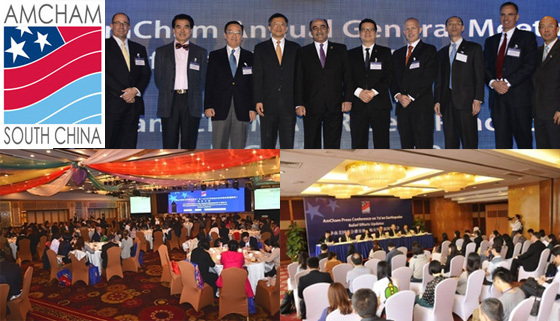 If American companies want to conduct business in China, AMCHAM is a major resource for making that happen. So having the organization’s president, Harley Seyedin attending is great news for all of us. AMCHAM reached out to it’s 12,000 plus membership with a notice about the show from Mr. Seyedin with an invitation to attend, (see below). We sincerely thank AMCHAM for their support and help in spreading the word about the show. See you there!